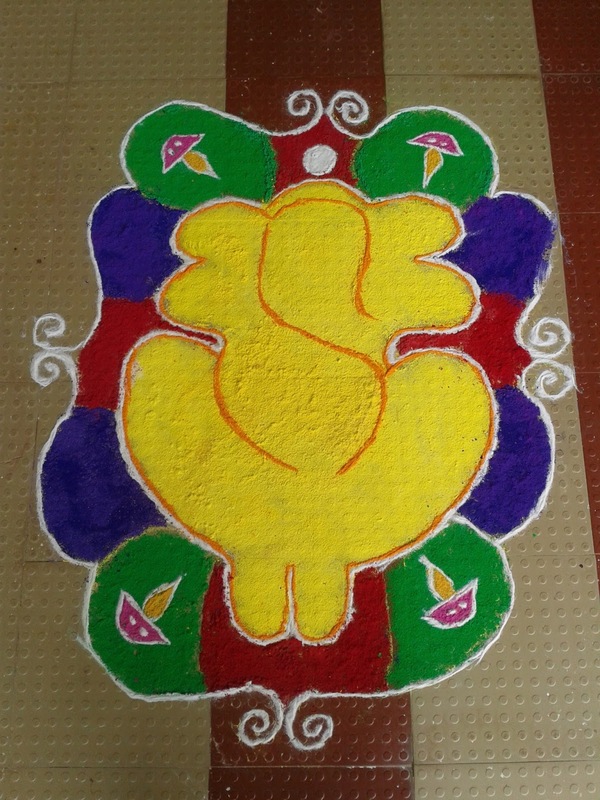 Pygmy Arts: Lord Ganesha Rangoli! On the eve of Ganesh Utsav, we had taken ganpati at home for a period of 1.5 days. For the welcome of our cute little Ganesha, i thought of adorning our veranda with his rangoli. So a quick post here on the rangoli that i made for him! Happy Ganesh Chaturthi to all of you :) ! !